The IDEA Island shown in 34” & 42” heights and seating for six or eight. 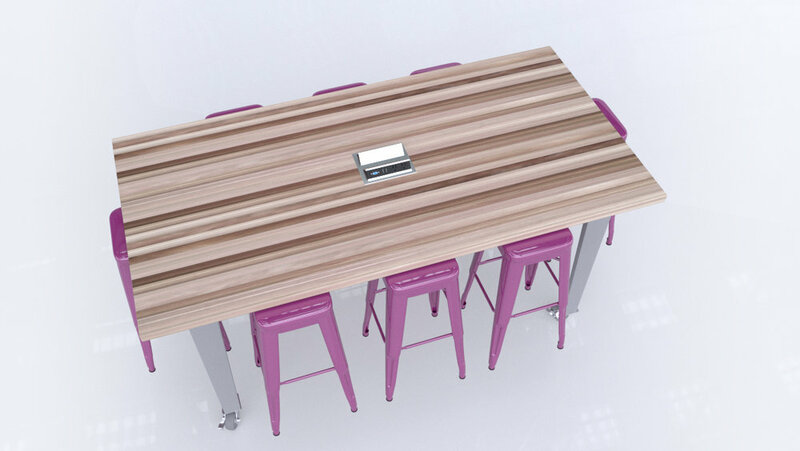 The IDEA Island by CEF has joined the family of our award winning Ed Table line. The creation of the IDEA Island was inspired by the many makers in school systems, public libraries and museums across the nation that are dedicated to inspiring creativity and discovery in children and adults. By these educators pushing the limits of what can be accomplished in the classroom, we were challenged to create a piece that would help drive their efforts. The marriage of industrial design with warm wood, strength, and innovation, immediately inspires when you step up to our IDEA Island. It is offered in the simplest form-table only or can be dressed up with technology and seating for up to 8 people.